Bonita Springs is a welcoming beach community in Southwest Florida between Fort Myers and Naples. Whether you’re looking to explore nature, relax on the beach, or take a boat out on its clear waters, Bonita Springs is an unforgettable destination with a little something for everyone. 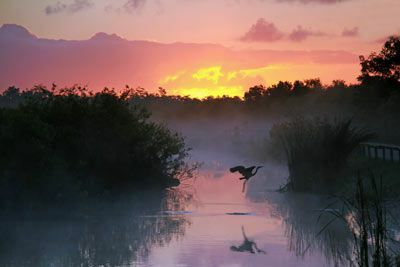 Bonita Springs is home to the Conservancy of Southwest Florida Nature Center, a 21-acre celebration of Florida’s wildlife and habitats. 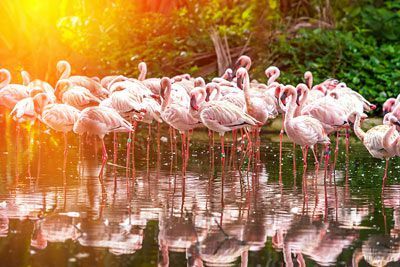 Everglades Wonder Gardens will also give you a glimpse into Florida’s natural history, featuring native vegetation, butterflies, alligators, snakes, birds, flamingos, tortoises, and more. 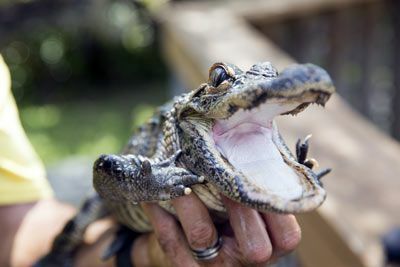 Enjoy the wildlife and views at Barefoot Beach Preserve or rent a boat to take out on the water at Bay Water Boat Rentals. 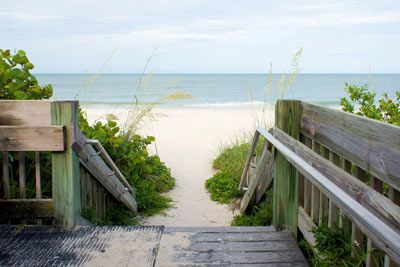 Bonita Springs Public Beach is a great place to go swimming, or seek out the privacy of Lovers Key State Park, a great spot for beachcombing accessible by boardwalk and public tram. Keep your eyes open for manatees and dolphins! Fishing and other outdoor activities including golf, kayaking, and parasailing are popular here. Play 18 holes at Raptor Bay or Bonita Fairways, paddle down the mangroves in Estero bay, or catch some air parasailing the skies of Bonita Bay. Watersports rentals of every kind are easily available as are charter tours, boats for fishing, and sailing certifications. Take a lazy day to shop 140 stores at the Mirmar Outlets or wine and dine with fresh seafood at Tarpon Bay. Browse the galleries of the Art League of Bonita Springs, an arts organization that hosts both local and traveling art exhibitions and community events. 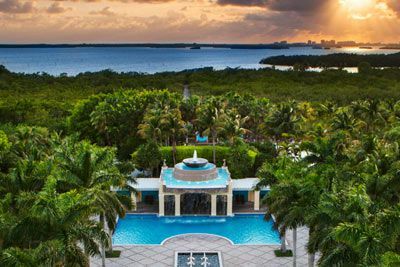 Located on 26 lush, tropical acres overlooking Estero Bay and the Gulf of Mexico in Bonita Springs, you’ll find a casual environment that invites limitless recreation and relaxation. Recently honored with Florida Green Lodging’s Three Palm eco-friendly certification, this hotel rewards you with a refreshing respite, surrounded by the best of Bonita Springs and Southwest Florida. Each guestroom includes step-out balcony, wired and Wi-Fi high-speed Internet access, iHome alarm clock radio, mini-refrigerator, complimentary daily newspaper, DVD player, laptop-sized electronic safe, hair dryer, coffeemaker, iron/board and more. 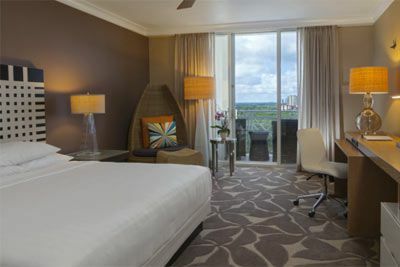 View rooms also feature the hotel’s choice of waterviews of the Gulf of Mexico, Estero Bay and/or the resort’s water features. You will also enjoy a collection of resort shops, on-site car rental and tour services for your convenience. Kids can take part in Camp Coconut, a fun and exciting program designed especially for guests ages 3–12. At Camp Coconut, children will spend days experiencing new things, like going on a shark tooth hunt, enjoying contests in the pools, water balloon toss, arts and crafts and so much more. They’ll learn all about the flora, fauna, and native Calusa Indians who lived in this part of Florida. (Toddlers must be fully potty-trained to participate.) Discover for yourself why this resort was recently named among Travel + Leisure’s 500 World’s Best Hotels! 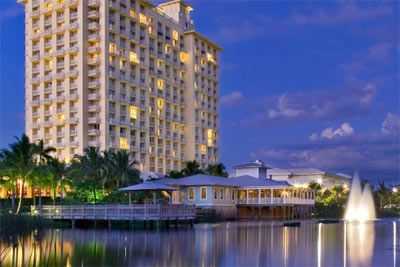 The Hyatt Regency Coconut Point Resort & Spa is located approximately 14.7 miles from the Southwest Florida International Airport (RSW). Certified Registered Nurse Anesthetists: This program has been prior approved by the AANA for 20 Class A CEC; AANA Code #1036270; Expiration Date 5/2/2019. $100 February 28, 2019 to March 30, 2019. No refund after March 30, 2019; however, 50% of tuition paid may be applied toward tuition for another NWAS program within the next 12 months. Cancellation must be made in writing.